Give your home a classy and timeless look by upgrading to hardwood flooring. Our large warehouse showroom carries hardwood floors in many colors, species, and styles. Whether you want solid, engineered, or reclaimed hardwood, you’ll find many selections at our location. Allow us to help you dramatically transform your interior space into a beautiful place. With the assistance of our trained and courteous staff, you’ll find the perfect match for your home or business décor. We carry engineered, solid, and reclaimed hardwood flooring products from the most respected brands and trusted manufacturers in the industry. Choose from the hardwood flooring types that meet your needs and preferences. Even though we are a local flooring store, we are part of the nationwide chain of flooring stores. To that end, we not only deliver personalized services, but we can locate the best hardwood flooring at the best prices for our customers. Why Install a Solid Hardwood Floor? Even though we offer our solid hardwood floors at very reasonable rates, they may be a bit out of your price range. Don’t be disheartened. You can still enjoy the floors you want. Our engineered hardwood flooring looks just like solid hardwood yet is even more affordable and resilient. Engineered wood floors are made using several layers of materials. They hold up under even the heaviest foot traffic. At the same time, they are available in many varieties and are moisture resistant. Lessen your carbon footprint while still getting the hardwood floor you want. Reclaimed hardwood flooring is a beautiful option for those who enjoy a more unique look in their homes. Most importantly, by using these products you help to save our natural resources. Reclaimed hardwood is created using re-milled wood that has been salvaged from old structures. 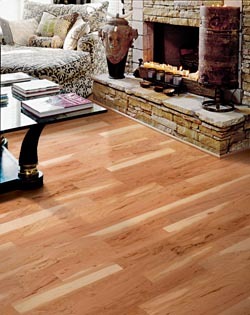 Since no two reclaimed wood floors are exactly alike, you can enjoy a particularly distinctive look in your home. These flooring types are available in many species as well. If you’re looking for environmentally friendly flooring, reclaimed wood is one of the best options. Don’t limit yourself if you’re in the market for hardwood floors. If you go to any other flooring store, you could be disappointed. We not only offer a huge supply of hardwood floors, but we also provide convenient and affordable hardwood floor installation. Make your shopping experienced easy from start to finish. Allow us to help you choose your floor and then install it on your schedule. Contact us for more information about our engineered, solid, and reclaimed hardwood floors. We proudly serve customers throughout Medina, Ohio, and the surrounding areas.